We have a very active lab, with both research and teaching components but since the funding for the University and our Museum is now fairly limited, most of the money to support our research and education comes from contract investigations conducted for government and private organizations, research grants, and donations by generous individuals and corporations. The donations are particularly appreciated because they indicate the level of interest of the public and our community in our work. Environmental archaeology research at archaeological sites throughout the Americas. Physical growth of our collections from a single field focus (zooarchaeology) to the more holistic three-field focus incorporating zooarchaeology, archaeobotany, and archaeopedology. Creation of a digital archive and research database of ancient environments and human-induced environmental change. Educational and public outreach via on-site and visiting collaboration and the development of digital curriculum aids. 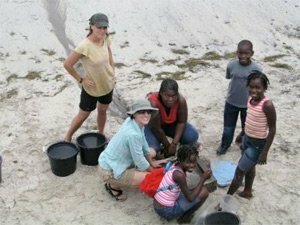 Generous funding from the FAO Schwarz Family Foundation has created the Environmental Archaeology Endowment for Education and Research, an endowment that continues to grow with donations from other generous individuals. The funds are used to support our students and our efforts to expand access to our collections, primarily through the development of digital image archives. In times of economic downturn, our endowment ensures continuity for our program and students. To make a specific donation to the EAP Endowment, please access the University of Florida Foundation’s secure giving site or contact us directly. Your donations are tax deductible. 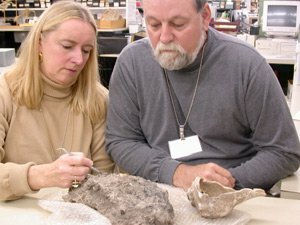 Memberships in the Florida Museum of Natural History support public programming and research through grants from the Museum Associates Board. Please see the Museum membership page to join. We are also happy to receive basic office supplies, donated technology, or other equipment and materials that are fundamental to the operation of a busy laboratory. Please contact Curator Dr. Kitty Emery if you have any donations you would like to see used in the pursuit of environmental archaeology research. Finally, we are happy to receive modern comparative specimens and legally acquired archaeological collections but we are bound by many regulations in accepting collections. Please read our acquisitions policy here and contact Curator Dr. Kitty Emery with any specific questions. Would you like to work in the Environmental Archaeology lab? Would you like to catalog, curate, or identify environmental remains from archaeological sites? We may have just the opportunity you are looking for! Please contact us. The Florida Museum-EAP offers occasional employment, primarily for University of Florida students. We hire Federal College Workstudy students through the University of Florida system primarily for collections based assistance. We also hire University of Florida students with appropriate experience (in archaeological, biological, or geological fields) to assist with EAP research projects. There are currently no positions available, but please feel free to contact us with your CV and specific statement of interest.